A stunning cake for all seasons. Lemon sponge, chocolate cake or a light madeira cake with crisp squares of white Belgian chocolate and tiny curls of chocolate on top. 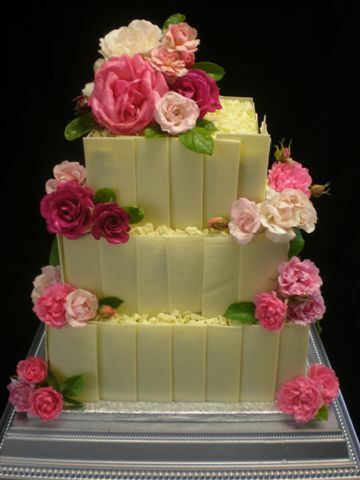 Shown here decorated with wild pink roses. Available in white, milk or dark chocolate.